This variety of moss is known as flame moss thanks to its close-fitting, vertically growing and slightly wavy shoots that give the impression of a green camp fire. 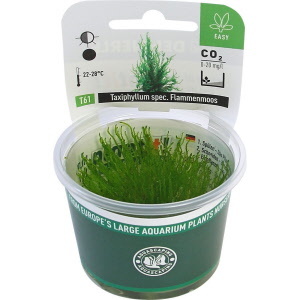 Flame moss reaches a height of around 2 to 6 inches (5 to 15 cm). This type of moss is ideally suited for the foreground because it gradually spreads horizontally. It can be anchored to small rocks or in bunches on wood for a nice-looking addition to your aquascape. 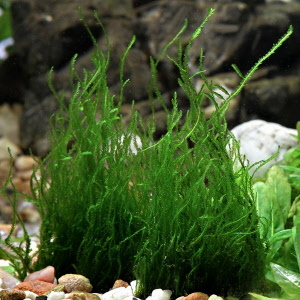 This moss can also provide a hiding place for fry fish (baby fish). 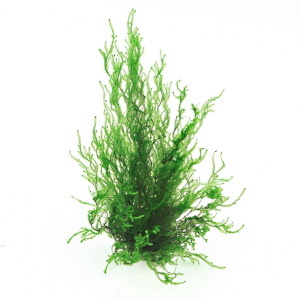 Flame moss fairs best at 72 to 82°F (22 to 28°C). This undemanding species tolerates low light levels. 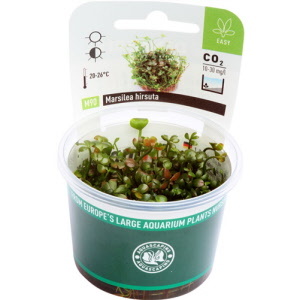 This plant is sustainably grown in Dennerle’s large plant nursery and not removed from nature.